The Wool Cloak is a must for any serious Ren Fair goer, LARPer, or SCA reenactor, especially in cold weather. This cloak is made from high quality wool blend fabric and will definitely keep you warm and dry in cold and wet weather. 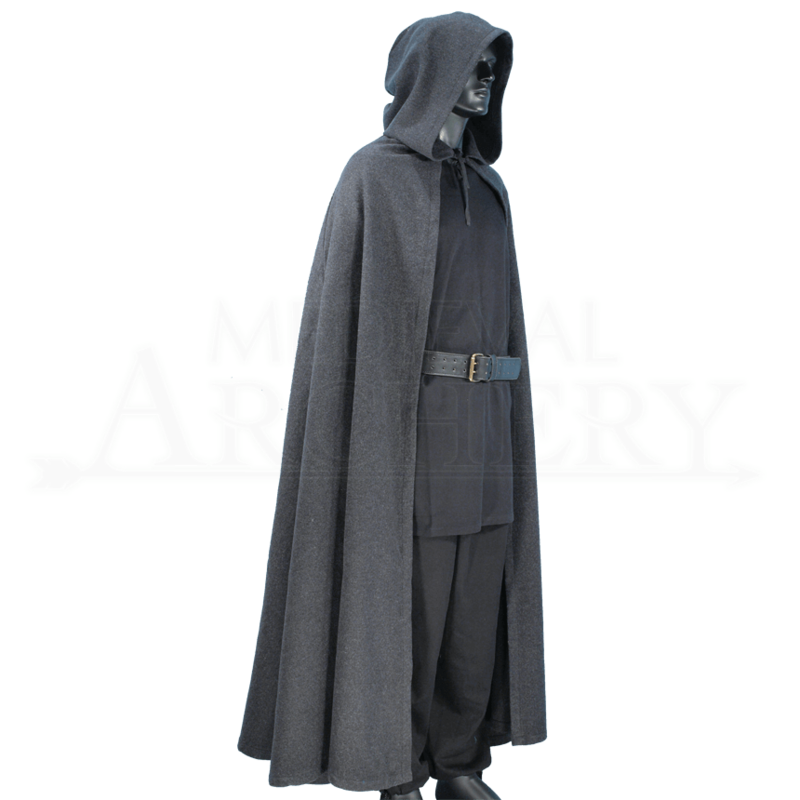 Take this cloak along on your next adventure to fully appreciate the excellent quality. 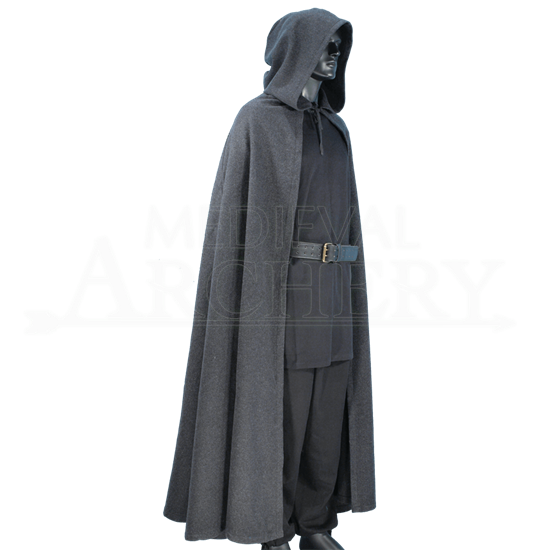 This is a full length cloak and also features a full hood. The cloak ties at the neck. Wool keeps warm, even when wet. Will be using this for camping to double as a blanket for my hammock. I shop online often, and this product is literally perfect. Very pleased. They sent it quickly but the color is NOT as advertised in the picture. I ordered grey believing it would be light gray as the picture shows. The cloak looks the same, but is dark gray (almost black).